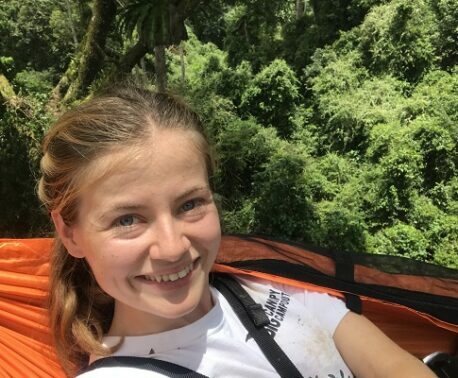 Holly Dennett and Benjamin Chorley were so upset to learn in school about deforestation that they decided to raise £1,000 to fly to Brazil to tell people to stop cutting down trees. After much discussion, and some parental advice, the children lowered their sights. Instead of aiming for £1,000, they set a target to raise £100 to donate to World Land Trust (WLT) to save a whole acre of forest. 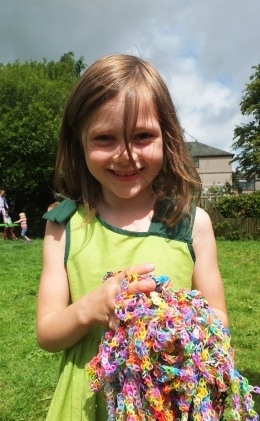 The effort was steered by Holly’s mum Jennie Dennett, who arranged Loom Band Aid at Mill Dam Park in Ulverston. So was it the longest loom band ever made? “Our loom band is 57 metres long and we think it’s the longest loom band in Cumbria!” said Holly.